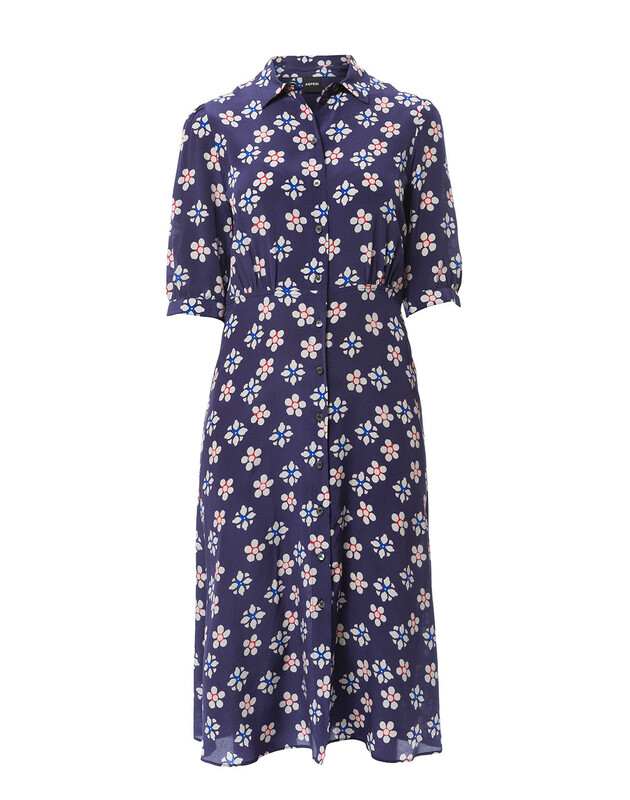 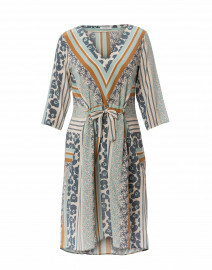 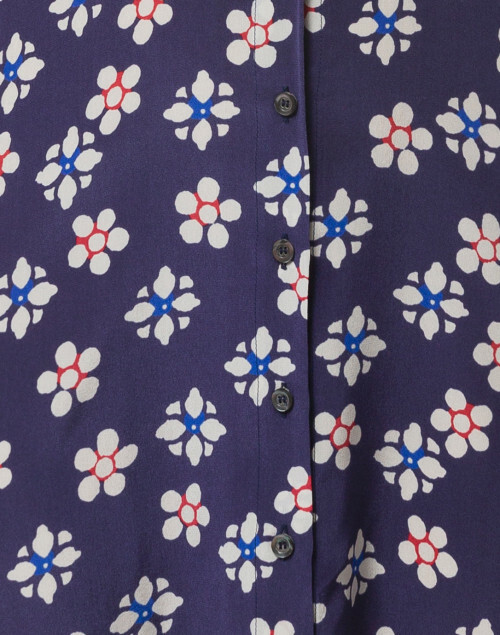 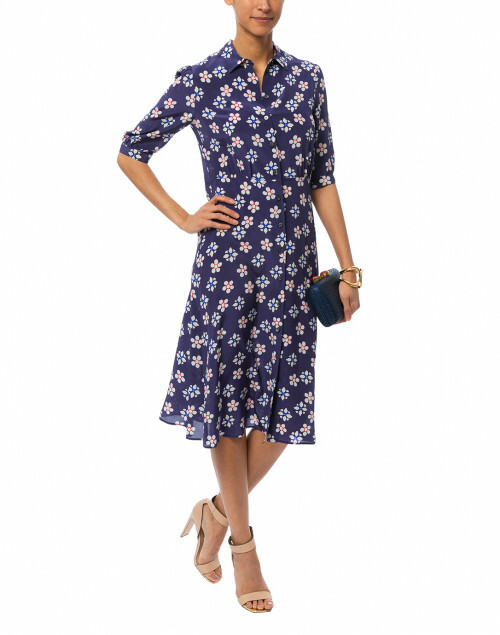 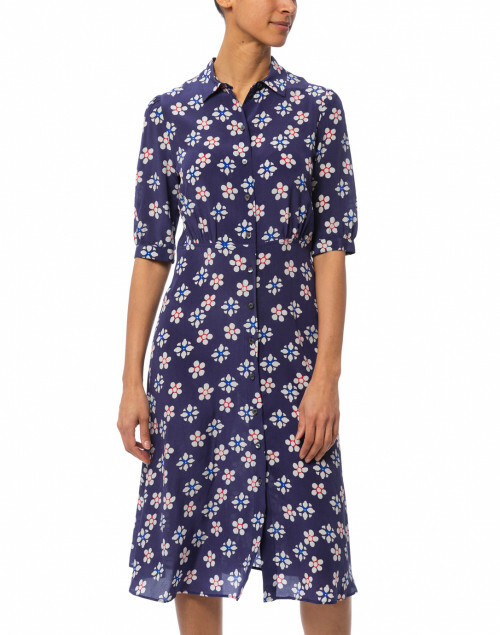 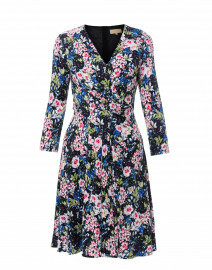 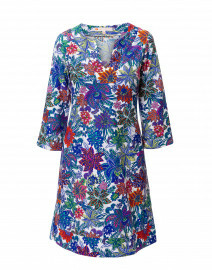 Aspesi's navy dress is defined with a lively floral print in blue, red and white hues. It's crafted from soft silk and shaped with a shirt collar, and a button down front. 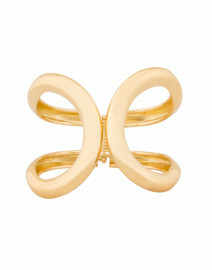 Wear it to dazzle at an alfresco gathering. 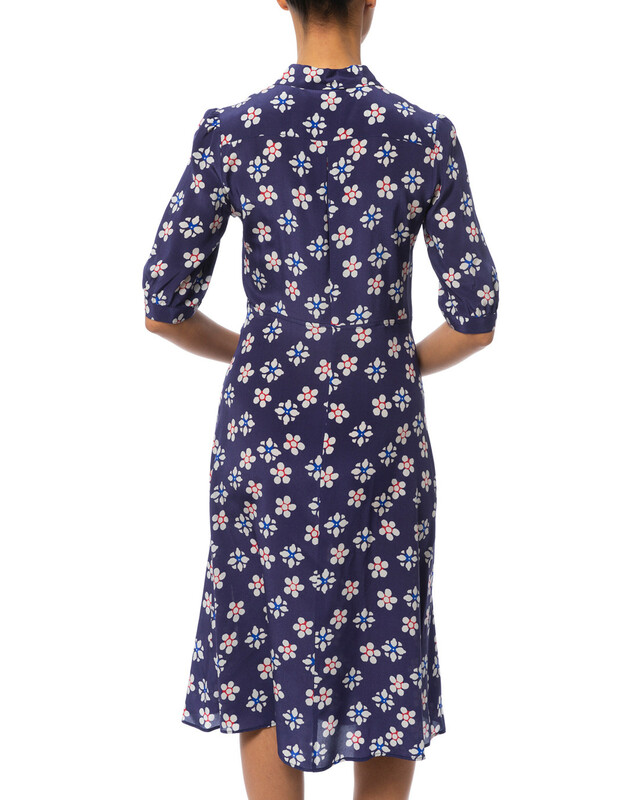 Length 43" 43.5" 44" 44.5" 45" 46" 47"
Shoulder Width 13.5" 14" 14.5" 15" 15.5" 16" 16"
Bust 36" 38" 40" 42" 44" 40" 42"
Waist 29" 31" 32" 33" 34" 34" 36"
Hip 34" 36" 38" 40" 42" 40" 42"
Sleeve Length 14" 14" 14" 14" 14" 18.5" 19.5"